My two uncles appear in this photograph, kneeling right Ernest Watson, and extreme right Donald Watson. 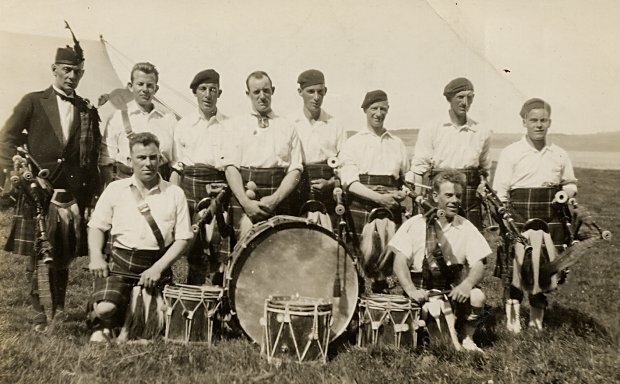 Ernie left Cromarty, and went to work in South Africa, he served in the South African Air Force, during WW2, and met up with his brother Donald, (who joined the Royal Air Force), in Cairo in 1943. It was a chance meeting, as neither knew of each others' posting. Fate I suppose.